Significant Court decisions have been made in South Korea, with 28 Syrians allowed to enter the country and apply for asylum. The asylum seekers have spent almost eight months detained in a waiting room at Incheon airport. The room in which they were detained has no windows and two showers. They were served chicken burgers and a soft drink three times a day, however most of the Syrians eat only the bread as the meat is not halal. The Incheon District Court ruled that depriving people of the opportunity to claim asylum should be made only in exceptional cases. The Republic of Korea became a signatory of the Refugee Convention in 1992, and the Refugee Act that was brought into force in July of 2013 stipulates that all asylum seekers are allowed to apply for refugee status at a port of entry. It also stipulates the Ministry of Justice shall undertake an eligibility screening procedure (rather than a full refugee status determination) at the port of entry. Despite this, the Ministry of Justice had rejected the initial asylum applications, claiming that the Syrians had no clear reason to seek asylum, as they came via ‘safe countries’ like China, Russia and Turkey. They also cited that they need to screen refugee applicants vigilantly to distinguish between genuine refugees and economic migrants. The Court ruled that these claims were not valid reasons to deny the Syrians the right to claim asylum, as they may be at risk of forced return to Syria (known as ‘refoulement’) from the countries of transit. These 28 Syrians were able to bring the lawsuit against the Justice Ministry with the help of local lawyers and non-profits. However over one hundred people who were rejected entry into South Korea continue to be detained in the airport’s waiting room – which was designed to hold thirty people. This detention continues despite no clear legal basis. 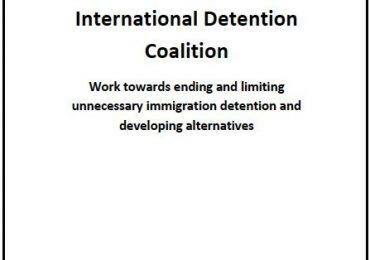 International law stipulates that seeking asylum is lawful and the exercise of a fundamental human right. 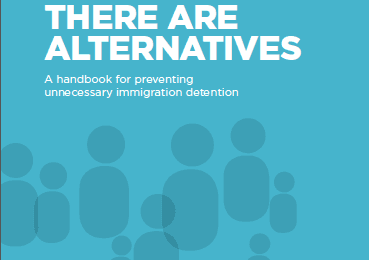 Immigration detention is only ever meant to be used as a last resort and where it is necessary, reasonable, and proportionate to a legitimate government objective.